After almost 2 months of taking “shots” of the bucks using the water trough, the period of September 1st through the 5th helped me to categorize them much better. 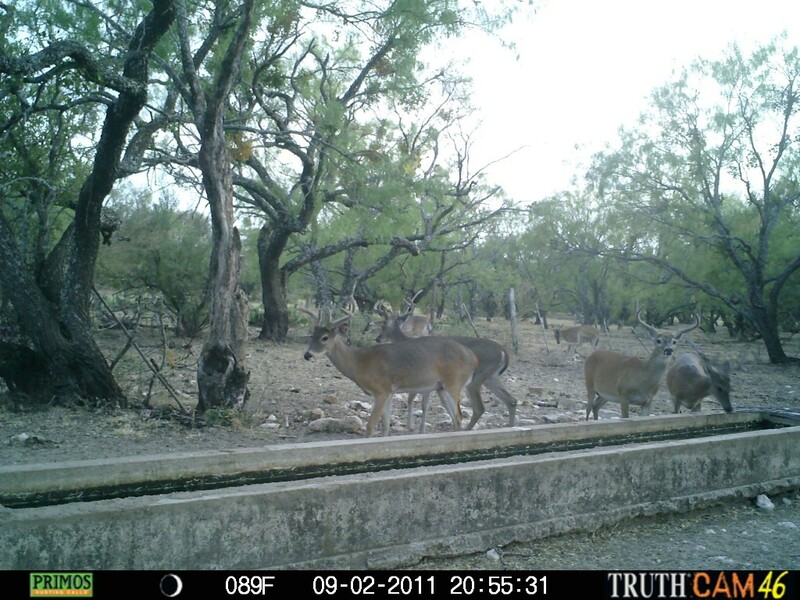 There is one buck that’s real good, the 8 pointer, however there are several more that have 6 or 7 points that are acceptable, considering the drought conditions that we are under. 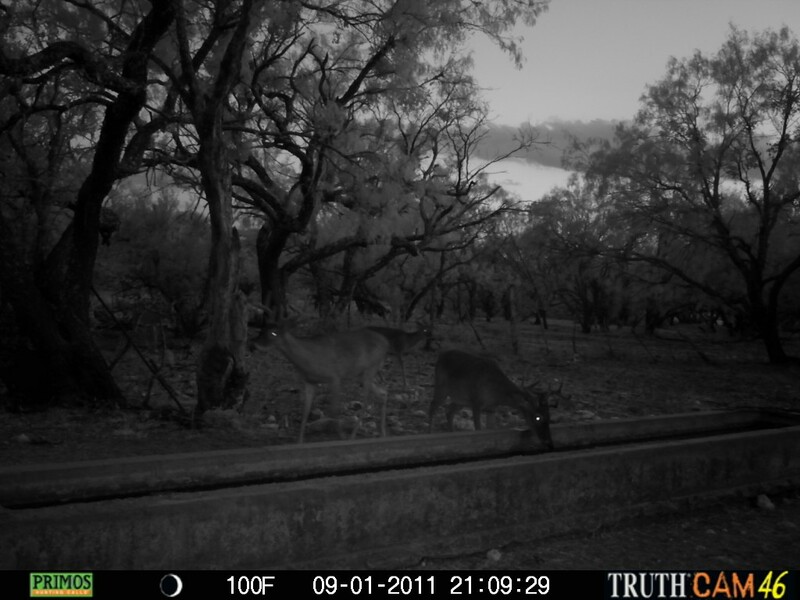 In the early morning of the 1st, it was only fitting that the big 8 showed up for a drink and along with him was a young 6. 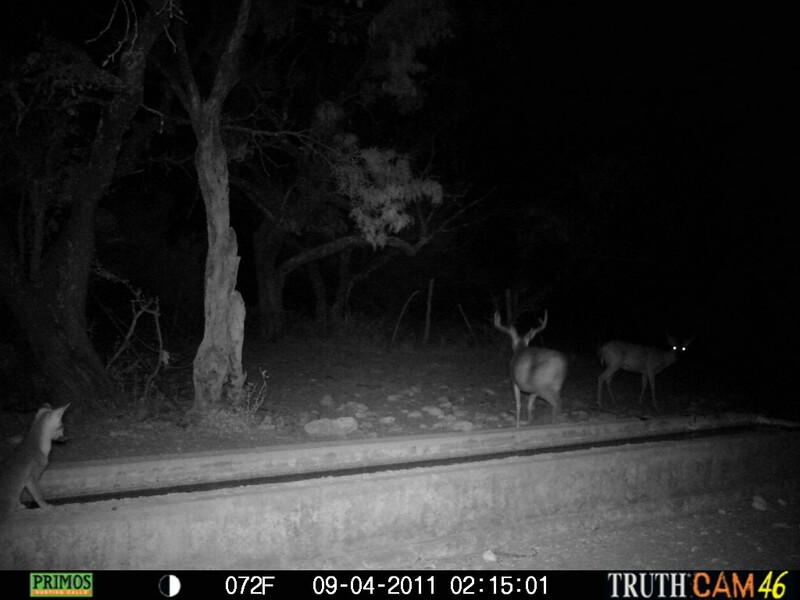 That evening another 6 and a young 10 appeared, then minutes later two 7’s showed up. Now it’s starting to get interesting because on the evening of the 2nd, here came 6 big deer, a 7, a wide 6, one that is undeterminable, a spike and two doe and I believe all of these deer are different, maybe the 7 is the same as earlier. 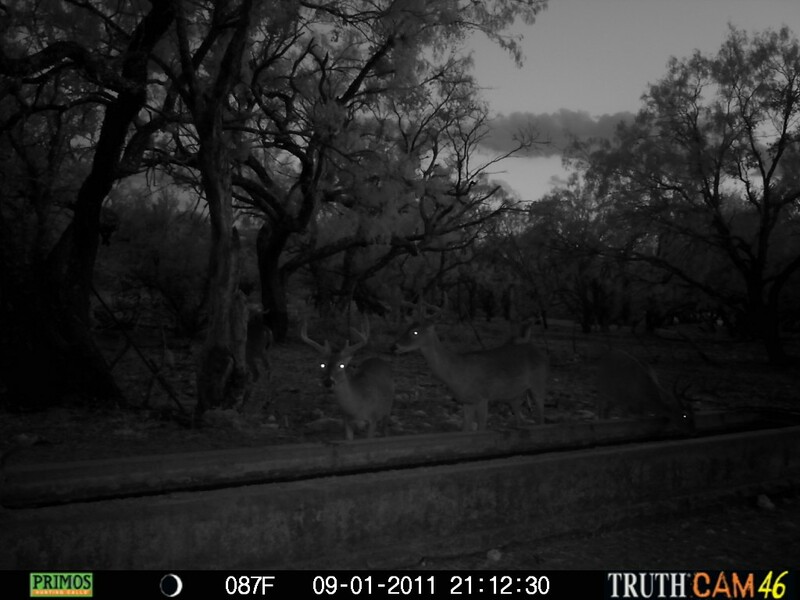 The next night, up came two different bucks a 6 with one crooked horn and probably a 7. 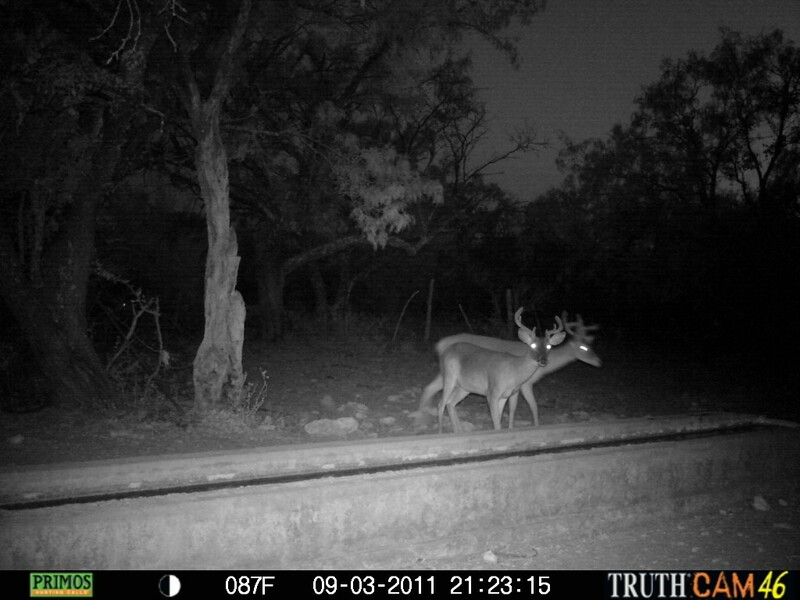 Both of these bucks are shooters, however I’d let ‘em go and hope they’d get better horns next year, but folks around here will pop them if they get a chance! On the early morning of the 4th, this grey fox is just sittin’ and mindin’ his own business as this big, fat buck, a 6 or 7, walks away from the trough. 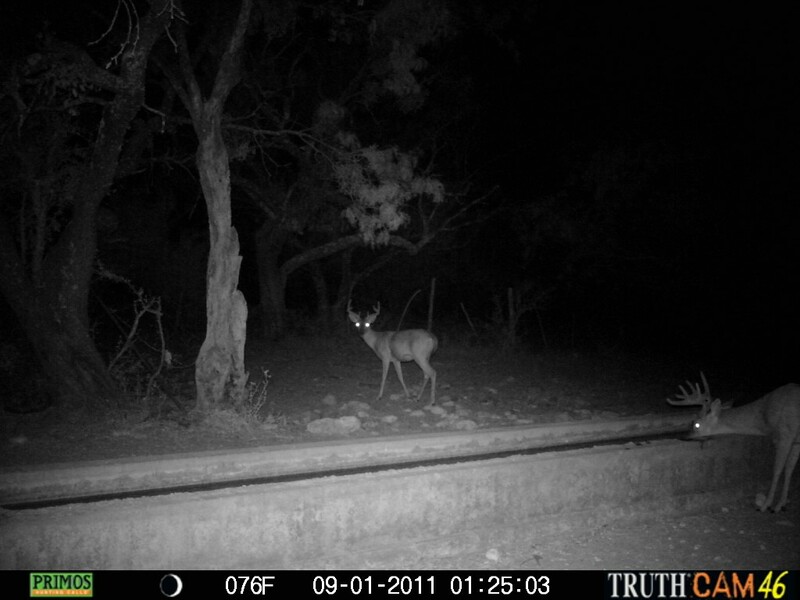 This is probably the pot bellied buck. 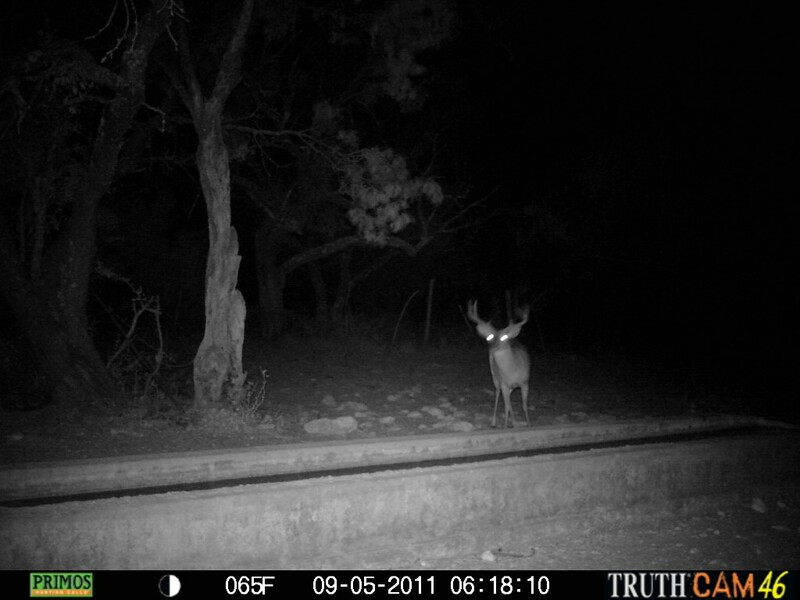 Here’s another big buck, good size, wide spread, but he’s a little lop sided, his left side horns aren’t as long as his right. The norther (cool front) just hit, so notice the temp 65, first time it’s been this low in about 2 months! 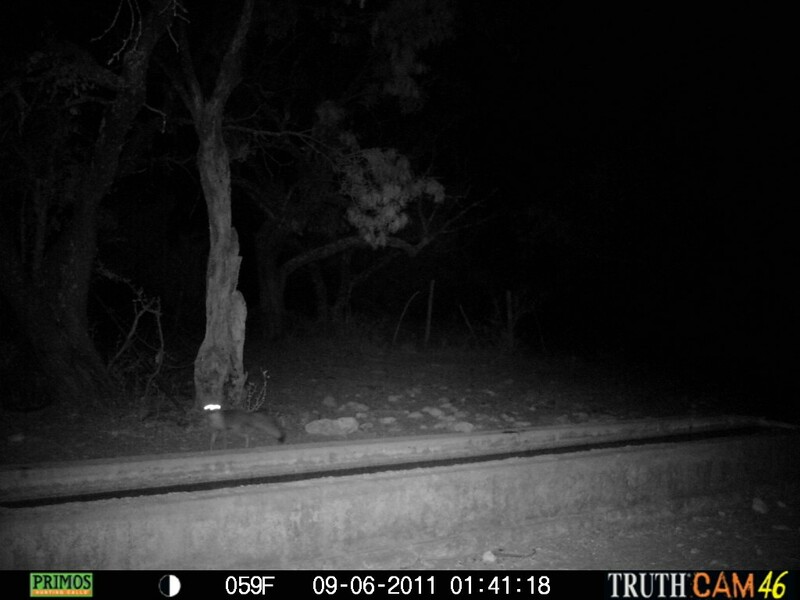 Here’s a gray fox running by the trough, but look at the temp 59, probably a record for the day around here.